Whites To Rule South Africa Again? LICHTENBURG, South Africa - As seers and prophets go, Nicolaas van Rensburg, a white South African who lived a century ago, has what is considered a fairly accurate track record, and residents of this embattled nation now are looking to his predictions as the key to their future. "The prophet spoken of in hushed tones by the ANC, but with admiration by white South Africans, is none other than Seer van Rensburg," says South African scholar and historian <mailto:bookmark@intekom.co.za> Adriaan Snyman, likely the man who best understands van Rensburg's work and its implications for South Africa. Snyman's story and his dedicated quest to understand van Rensburg's work is a long and captivating account. He was born in Lichtenburg, situated in the old West Transvaal, South Africa, close to Ottosdal, where Seer Nicolaas van Rensburg resided on his farm. On completion of his schooling, he went to work for the Department of Education in Pretoria and obtained a Bachelor of Arts degree. Shortly thereafter, he became a journalist and worked for two Afrikaans newspapers, the Hoofstad in Pretoria and the Burger in Cape Town. In an exclusive interview with WorldNetDaily, Snyman related how his interest in van Rensburg began. Seer Nicolaas van Rensburg and his wife, Annie. "Years ago, at about 5 o'clock one autumn morning, I was sitting in my cane chair reading 1 Samuel, chapter 9. Saul and his servant were looking for his father's asses that had been lost. They found nothing, and when Saul wanted to go back, his servant advised him that they should consult a man of God." Snyman described this verse as God saying the following to Saul: "Behold now, there is in this city a man of God, and he is an honorable man, all that he saith cometh surely to pass; now let us go thither; peradventure he can show us our way that we should go." "Something happened to me at that moment; A shudder went through me, a light flashed through my head, and as I stood up I spoke aloud to myself: 'Have we not had our man of God and seer?' Vague memories came to mind, and for a fleeting moment I saw myself in the countryside at Lichtenburg where my father was busy telling my brothers, sister and me about Seer van Rensburg, who always went to a hill behind his house during the day to read his Bible and pray. 'And there God spoke to him,' I heard my father say," Snyman said. "This was what I could remember." Snyman said it was then that he "started searching, but just like Saul's asses, Seer van Rensburg was lost to me. Then one morning at a place called Eloffsdal, Pretoria, he appeared before me in the form of old Mr. Paul Prinsloo, an 82-year-old 'disciple' and a person who knew all about Seer van Rensburg a man who, even at that age, had bright and clear eyes. And for the first time since my childhood, I heard the following words: 'Seer van Rensburg said ' And from that time on, I met various other people who knew about the Boer Prophet and what he had said. Then information began coming to me like a flood. Today, I know without doubt we had our own seer!" Who was the seer, and what makes his prophecies unique? "During the last quarter of the 19th century and the first quarter of the 20th century, no one was more renowned in the Western Transvaal than Nicolaas van Rensburg, the seer," Snyman told WorldNetDaily. "He was a legend during his lifetime, and not only did famous generals of the Boer War, like De La Rey and Kemp, believe that he was a prophet, but statesmen like Gen. Hertzog, Louis Botha and J.C. Smuts on more than one occasion witnessed, even in Parliament, that Nicolaas van Rensburg's prophecies came true during their lifetime." Snyman told WND that there is enough evidence to prove that Nicolaas van Rensburg was no charlatan. "The only book he read was the Bible, and he believed that his visions came directly from God. And never did he practice occultism. He was a devoted Christian and never used his gift of prophecy for personal gain, nor did he attempt to impress anyone. He believed that you must live your life in honor of God, and many Bible verses are found in his prophecies. To this day, it has not yet been proven that any of his prophecies were false," said Snyman. "Seer Nicolaas van Rensburg, also known as the Boer Prophet, died in 1926, but even today he is still considered to be one of the most remarkable personages in our history. From 1871 (when he was only 7 years old) until his death in 1926, he had over 700 visions about his people in South Africa, other nations, as well as world affairs. Although many of his visions were passed on by word of mouth, during the last decade of his life he asked his daughter, Anna, to write down his daily visions." According to Snyman, some of the most accurate prophecies van Rensburg made between 1899, at the start of the Anglo-Boer War, and his death in 1926 include the outcome of the Boer War victory for the British Empire the Great Flu Epidemic of 1918, England's later loss of all her colonies, independence for Ireland and the atomic disaster at Chernobyl on April 26, 1986. "Van Rensburg also predicted the divorce and tragic death of a beautiful English lady in a car accident who would be mourned by the whole world, which I believe could be none other than the late Princess of Wales, Diana," Snyman told WND. Other prophecies, according to Snyman's research, that proved accurate include van Rensburg's assertion that the founder of "Grand Apartheid," Dr. H.F. Verwoerd, would die at the hand of a close friend. "Grand Apartheid" proposed billions of rands for financing equal socio-industrial infrastructure in black homelands. Verwoerd was assassinated, say many Afrikaners, because his plan would have given the blacks a chance for equal development and thus would have made South Africa not only rich, but socially and culturally stable. Van Rensburg also prophesied the release of Nelson Mandela by ex-President F.W. de Klerk and that South Africa would be governed by a black government. In addition, van Rensburg predicted civil war in Bosnia. His predictions, Snyman said, after examining van Rensburg's manuscripts housed in a museum in Lichtenburg, include prophecies that Japan will be destroyed by earthquakes, that racial violence will explode worldwide at the turn of the century and begin World War III, and that the UK would be hit by several plagues at the start of World War III. "It is a chilling experience to read about van Rensburg's predictions in 1920 of this coming third and final war at the beginning of the 21st century, when the armies of the world will use what he called 'terrible electrical rays that sow death and destruction from above and below, and soak the earth in blood,'" Snyman said. "The old prophet described the events on the battlefields of the world in such detail, as though he himself had been an eyewitness." Just who was Seer van Rensburg? Nicolaas Pieter Johannes Janse van Rensburg was born on August 3, 1864, near the town called Wolmaransstad, South Africa, on the family farm, Rietkuil, where he spent his childhood. Like most children of his day, he grew up in difficult and turbulent times. At the age of 7, he started his schooling that lasted a mere 20 days; his father needed his help on their farm. From that time, he never had any formal education again. >From a tender age, he was perceived to be "different," timid and reserved and never taking part in the mischievous pranks of other boys his age. Nor did he have any real interest in farming. He mostly enjoyed listening to his mother reading to him from the Bible. By means of the Bible, his mother was able to teach him, with difficulty, to read the book by spelling and deciphering the words one at a time. >From that time until his death, the Bible was the only book he ever read, and he had no interest whatever to read anything else, for he believed other books or newspapers were worldly things and did not spiritually enhance a person. By only reading the Bible, over a period of 55 years, he forecast what would happen worldwide in the future. His mother, Anna Catharina van Rensburg, was a quiet, sensitive, soft-spoken woman who suffered from poor health. Nicolaas did not only take after his mother in character, but he also inherited her frailty. This was the main reason why there was such a strong bond between them until her death. Just like his mother, he disliked violence to such an extent that he could not even stand seeing an animal being slaughtered. 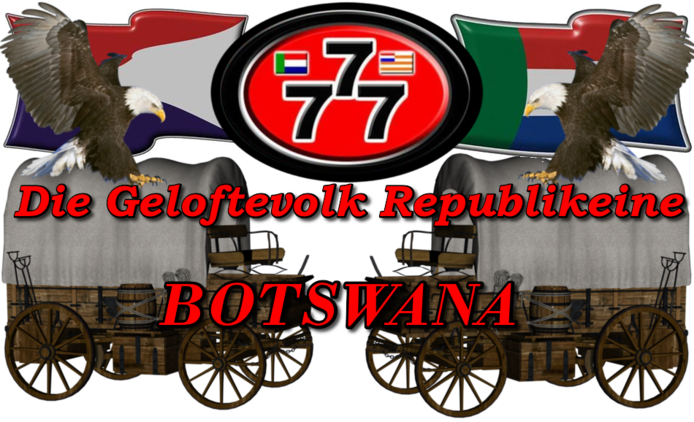 It is an enigma, therefore, that he joined the Boer forces during both wars and stayed until the end, even though he foresaw the disastrous outcome. He is also the only soldier in Boer history who never shot at or killed any of his enemies he never carried a gun. When he was still a toddler, his mother noticed that her son could "see" things, but he was then still too young to grasp and understand what was happening to him. His mother believed that if this gift was from God, her son would understand at a later stage. Even though she had always wondered how great this gift was that her son had received and asked him many times what he was seeing that made him so unhappy, he only stood staring at her with his deep penetrating blue eyes and would never utter a word.. The look in his eyes was such that she wanted to take him to her and hug him. Many people have said that his eyes put fear into them, and they did not want to look into them. Others said that they have never seen such sad eyes. It was as though he looked at people from an infinite depth and saw through them, as if he saw something far away that brought the sadness to his eyes. How heavily this burden of prophet or seer rested on his shoulders, nobody would know, but at the age of 20, he had already started greying and was chosen as an elder in his church the following year. At 30, neighboring farmers older than he called him "Oom Niklaas." "Oom" translates to "uncle" in English and is widely used among Afrikaners as a sign of respect for somebody older than oneself. Many may wonder just how well-known van Rensburg's prophecies are in both the English and Afrikaans languages. Snyman believes he has the answer. "In 1916, van Rensburg had a vision that toward the end of the century, the Afrikaners/Boers, his people, would become more and more interested in his visions," Snyman said. "At that time, he told a very good friend of his, Mr. Boy Mussmann, who lived in Vryburg, the following: 'There will come a time when I will be much in the news again. At that time, I saw that we as a nation were still arguing amongst one another, and then suddenly we had a black government. Then only will the Afrikaners' most bitter struggle begin. ... I see a time when the whole world will be plowed under. (According to Snyman, this is the beginning of World War III, when everything will be in disorder and confusion will reign.) Then I saw a snake lying on the plowed land. I could not see its head or tail.'" Since its publication in 1995, the book "Boodskapper van God" about van Rensburg has become a national best seller in Afrikaans, running through eight editions with nearly 50,000 copies sold, and it is still on the local best-sellers list. Snyman's own work, the English translation "Voice of a Prophet," is now in its second printing. The SABC made a documentary about the Seer in 1999, and it was televised no less than three times within as many weeks. Says Snyman, "Van Rensburg's visions are so well-known by his people that they are regularly discussed in Parliament, and some years back a prominent MP flew off the handle and [the scene] ended in a brawl with a member of the opposition." Snyman told WorldNetDaily that during a parliamentary discussion in January 1991, a Conservative MP mentioned a vision of Seer van Rensburg regarding a diamond the size of a sheep's head that still lay undiscovered in the Western Transvaal diamond fields. Since then, diamond prospectors have been searching for this hidden sheep's head-size diamond and constantly inquire as to when and where the diamond will be found. Asked how ANC and South African Communist Party supporters feel about van Rensburg's prophecies, Snyman was resolute. "I don't think they like what he said, because he not only predicted that thousands of blacks in Africa would die of hunger or a terrible sickness perhaps, sadly, AIDS or Ebola but also that one day the Afrikaner will take back his land and freedom," he said. Snyman said that he has been threatened by unknown parties about his work concerning van Rensburg. "Since my wife, Annelize, and I started publishing the old seer's visions in 1991, we have been intimidated in many ways. Someone will phone us at 2 o'clock in the morning and say, 'The first person leaving your house tomorrow morning will be shot!' Then he'll hang up," he said. "Last year, I went on a nation-wide tour to inform my people about the seer's predictions for the near future and warn them of a blood-bath that will follow the death of a prominent black man. Some party or parties tried to stop me by phoning my wife and telling her she would receive me back with a bullet in the head. Nevertheless, I finished my tour, visiting 64 towns and cities and speaking to about 30,000 people. At some of these meetings there were more English-speaking people than Afrikaners." Snyman told WND that on Dec. 12, 1917, van Rensburg saw a large tank coming from the north of Africa. Fine sheep droppings rolled out from it. Snyman believes that this might be sexually transmitted diseases. The tank rolled south and the world changed into a dung yard. Says Snyman, "A vision of van Rensburg on the 30th of March, 1918, links up with this one: A little old 'Kaffir' sits dressed in women's clothing (he is homosexual) and dung rolls off him on the western side. (He is not only afflicted with this disease, but spreads it among the Western nations.) [Van Rensburg] then told his friend, Boy Mussmann, that 'many millions will die of this terrible disease.'" In a vision about Afrikaner freedom, van Rensburg said, "There will be more treason, more abuse, yes, I see more division and more flowing of blood than during the Rebellion." 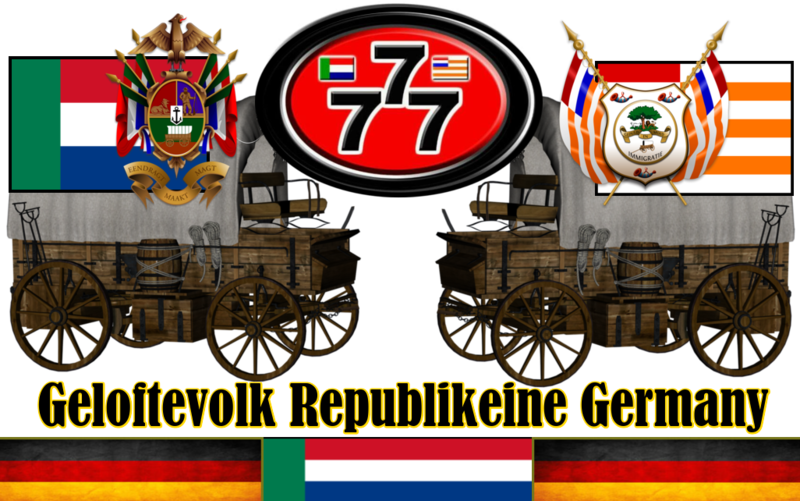 (During the 1914 Rebellion, the Boers took up arms and sided with Germany.) This is not just our blood, but I also see an unbelievable miracle happening. When I saw this miracle, I knew only then that the struggle of my people (for freedom and a free country, a republic of their own) will be over, and then it will be the end of the time of my visions. ..."
The second part of that vision, in van Rensburg's words, says, "We are going to have more trouble with the blacks, for years ago, shortly after the War, I saw a small black person rising halfway out of the earth. Then I had another vision. I saw he had grown into a mighty warrior who now appeared fully out of the earth, and the shadow of the spear and shield he held above his head fell right across the land. This is far in the future. Then he disappears into fog. But before that time, I also saw darkness descending down over the land. My advice is, fight, even if you do so with your backs to the wall!" Asked what the seer might say about South Africa if he were alive today, Snyman said, "Like ex-President P.W. Botha, he would refuse to appear before Bishop Desmond Tutu's Truth and Reconciliation Commission. "I say this because shortly before his death in 1926, van Rensburg himself said, 'Our nation will become free; I see them trekking inland where they congregate in a large mass; I see some going west, where they will fight and revolution breaking out among them, but everything will happen without any blood being shed. On the past of our nation, and on the present, there is no stigma; hope in the future and aim for the best you can achieve.'" Concerning van Rensburg's alleged unfinished manuscripts, Snyman told WorldNetDaily, "There are no unfinished manuscripts, only the two books containing his visions, as written down by Anna, his daughter, and they were nowhere to be found when I started my research in 1990. Even his surviving family did not know where they were." Snyman says that according to an article in the Sunday newspaper Rapport in 1981, these books disappeared after the death of his daughter and could not be found. "Therefore, I believe it was an act of divine providence that I finally traced the books in the archives of the Lichtenburg Museum in 1991," he said. "When reading these visions, one realizes that the symbols and metaphors may contain the keys to things we do not yet understand in our times. In about 700 visions, the history of Nicolaas van Rensburg's people, the Afrikaner, is sketched over a period of 100 years, fitting together like pieces of a puzzle." As for what the future holds for South Africa, Snyman said, "only Seer van Rensburg holds the key." Khosa October, a black ANC activist in Cape Town, told WorldNetDaily, "I don't know if the prophecies of van Rensburg are true, but they sure give me the creeps. Apartheid was wrong, yes. The ANC has become so corrupt and the world has changed so much since Mandela was released from jail. Perhaps it is not beyond imagination, when one considers AIDS, that the whites will rule South Africa again." Dr Willie Marais - Uittreksel van " 'n man van God Gestuur"
" Ek sien die tafelberg omring deur die see, die Kaap het losgeskeur van Afrika...."
Hieronder volg suiwer beriggewing oor 'n artikel in die Daily News op 8 Maart 2010 wat berig dat Suid-Afrika enige oomblik deur 'n enorme aardbewing getref kan word. Lees die berig hier onder en besluit self of daar meriete in is en indien wel, wat u te doen staan ter voorbereiding van so 'n noodtoestand waar mediese bystand seker die eerste ter sprake sal wees, behuising vir slagoffers, water, voedsel, maar, boweal beskerming teen die soldate van die Nasionale Demokratiese Rewolusie. Dít sal ons grootste gevaar wees. Ons lyding sal veel erger wees as dié van Haïti waar hul grootste ellende ná die aardbewing veroorsaak is deur plunderaars. Ons sal nie net geplunder word nie maar gemartel en vermoor word. 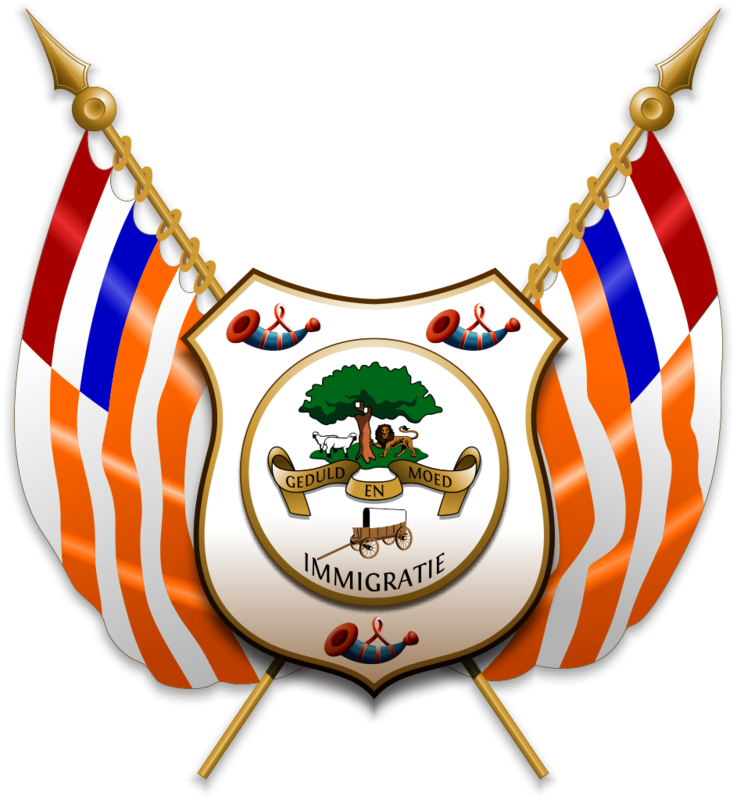 Waar ons nog gedink het dat ons onsself in ons huise beveilig het met alle middele tot ons beskikking, sal ons skielik weerloos en uitgelewer aan die genadeloosheid van Swart barbare staan terwyl hulle al hul wraakbeloftes teen die Blankes nakom. 'n Hewige aardbewing in Suid-Afrika is 'n werklikheid maar daar is geen wyse om te vas te stel presies wanneer dit sal plaasvind nie. Dr Chris Hartnady, navorsings- en tegniese direkteur by die aard-wetenskaplike organisasie Umvoto Africa, het in 'n onderhoud Durban en omgewing as die area wat hierdie keer die ergste getref sal word uitgesonder. 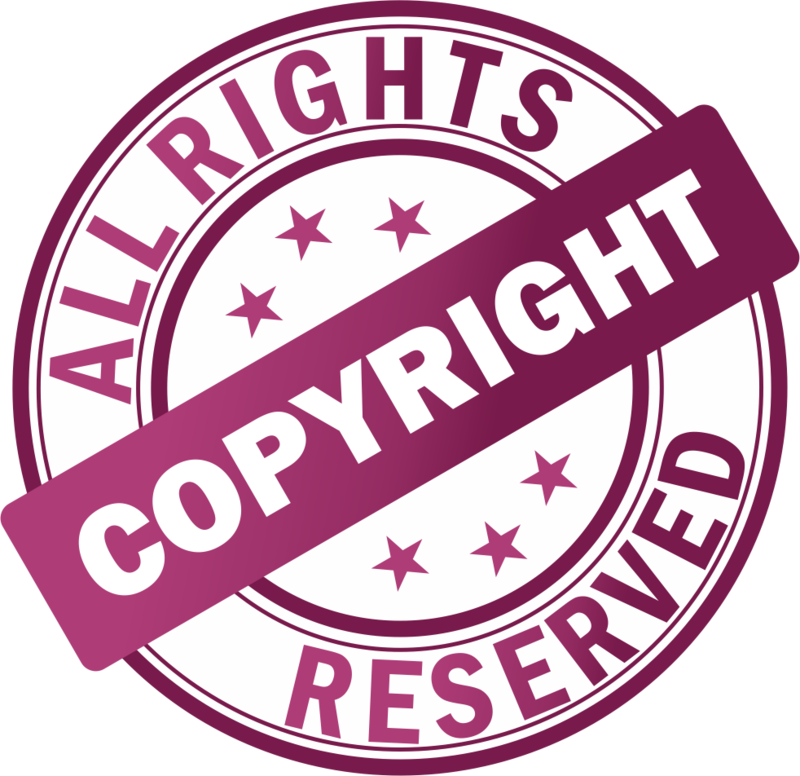 Hy het verwys na die omvangryke aardbewings in Haïti en Chile asook die onlangse skudding in Taiwan, en verduidelik hoe dit ontstaan wanneer die tektoniese plate van die aardkors beweeg, gly en teen mekaar stamp. In Afrika begin die skeidinglyne van die Nubia- en Somalia-plate wat vanaf die Andrew Bain Fraktuursone in die Indiese Oseaan loop, by Port Shepstone, deur Natal en Lesotho tot in Mosambiek, en al die pad deur noord-oos Afrika. Volgens dr Hartnady wissel die tydsverloop tussen hewige aardbewings van meer as 7 op die Rigterskaal tussen 500 en 1 000 jaar. 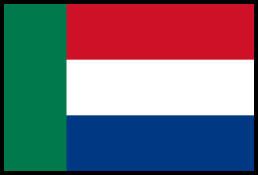 In dele van die Oos-Afrika-rif het die vorige groot aardbewing 1 000 jaar gelede plaasgevind. Volgens dr Hartnady word die volgende een enige oomblik verwag. "Dit is nie 'n kwessie van of dit gaan gebeur nie, maar 'n kwessie van wanneer." Volgens hom is die gekompliseerde samestelling van plate in Afrika aktief en besig om te beweeg wat riviere en mere in oseane kan verander, maar op die oomblik is die tempo van verandering baie stadig, sê hy. In die noorde van Malawië is heelwat verandering opgemerk. Suid-Afrika se grootste aardbewing ooit het in 1969 in die Ceresgebied plaasgevind. Die ergste skade is in Groot Winterhoekvallei, Ceres, Tulbagh, Wolseley en Prince Alfred Hamlet aangerig. In 'n artikel op die webtuiste van Umvoto skryf dr Hartnady aardbewings is 'n rare verskynsel maar 'n werklike gevaar ook vir die Kaap. In die verlede was daar skuddings in 'n suid-oostelike rigting vanaf ongeveer 8 km diep see in naby Koeberg tussen Milnerton en die noord-oostelike gebied naby Valsbaai. Ons kan hierby Johanna Brandt se waarskuwing van 80 jaar gelede in gedagte hou. Wat sy in 'n visioen gesien het was hoe 'n siedende orkaan Suid-Afrika tref, so onverwags dat niemand dit kon sien kom nie. Die aarde het gebewe terwyl die bliksemslae en gedonder van verwoede elemente die swart wolke uitmekaar skeur, en 'n stortvloed van vuur en haelstene op die aarde neergeslinger word. Oraloor was bloed en verwoesting. Net so skielik as wat die storm uitgebars het, het dit weer bedaar. Al was dit van korte duur was die verwoesting oorweldigend. "Wee hom wat dit bedink om voordeel te trek uit die algemene verwarring, wanorde en troosteloosheid, wat daaraan dink om te moor en te steel, te verkrag en te vernietig!" 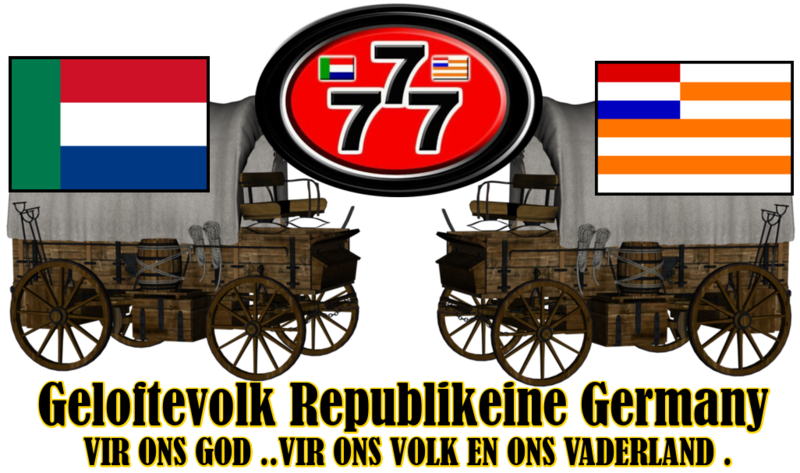 "Dit is aan my geopenbaar deur die Boodskapper van God dat die gevare wat vir Suid-Afrika voorlê 'n duisend keer erger sal wees as die Swartmense hulleself gaan inmeng; want dit sal in die mag van die verskillende stamhoofde wees om hulle mense te beheer en hulle te verbied om deel te wees daarvan. Die oordeel sal swaar wees op enigeen van hulle wat hierdie bevel van die Almagtige ignoreer." Ons weet waar ons vandag met die Swart volke staan, Malema laat ons dit nie een oomblik vergeet nie en hy word ondersteun deur die Swart ANC-president en die hele spul in daardie kamp. As ons dan die verloop van Johanna se visioen durf voorspel, sal ons toestand "duisend keer erger wees" omdat die Swartes nie net gaan inmeng nie maar dit reeds hulle misie gemaak het om die Blankes uit te moor. Maar daar is rede om te glo dat die meerderheid Witmense in die land nie eers sover kan dink of redeneer oor presies hoe erg so 'n situasie kan wees nie. Wat was die doel van die visioen aan Johanna? "Berei die volk voor om in geregtigheid verenig te wees in 'n poging om die mag van die storm te breek. Voorwaar, ek sê vir jou, die oordeel wat nie afgeweer kan word, kan versag word - die verskrikking kan verkort word. Die rampe kan nie vermy word nie maar dit kan verminder word. Dit hang af of die volk gehoor aan jou oproep gaan gee." Wat beteken dit om in 'geregtigheid verenig' te wees? Sekerlik nie dat almal nou vinnig in dieselfde politieke party verenig word nie maar wel dat diegene wat die betekenis van die woord 'geregtigheid' ken en wil uitleef, 'n eenheid sal vorm. Hoe word dit gedoen? Tog ook nie anders as in die gees nie want vir Christene deur die land om fisies bymekaar te trek is nie moontlik nie. Dan kom dit tog op niks anders as verootmoediging, geloofsvertroue in en aanbidding tot ons regverdige Skepper neer nie. Indien u glo dít is oorbodig, temerig of dweperig, dan is dit u saak, maar u gaan hierdie land sonder knieëwerk nie red nie. Natuurlik moet ons voortgaan met al wat 'n veiligheidsmaatreël is, veral militêr voorberei waar moontlik want dit is die soort van sataniese magte wat op ons losgelaat sal word, maar ons sal ook op ons knieë hierdie geveg moet ingaan, kom wat wil. 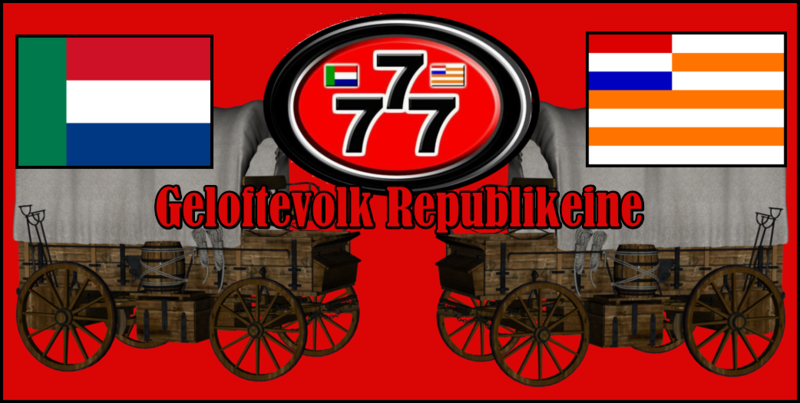 "Die Droom van n Volksgenoot." Ek droom ek en my man lê en slaap (ek kon ons op die bed sien lê, asof ek in die lug was) en toe sien ek my dogter kom by die kamer in en maak ons wakker en sê dat ons nou moet opstaan as ons nog iewers heen wil ry. Ek sien toe my man staan op en trek die gordyne oop. (ons het ‘n groot glas skuifdeur in ons kamer) Ek lê toe nog in die bed en sien dat daar verskriklike wolke teen ‘n ontsettende spoed, en baie laag aankom. Ek het nog so by myself gedink dat as daardie wolke die huis tref, gaan die huis sekerlik dril/skud, maar niks het gebeur toe die wolke teen die huis vaswaai nie. Toe sien ek my hond is buite en sy spring op en hap na die wolke, so laag was dit. Ek besef toe dat dit regtig baie vreemd is dat wolke so laag en vinnig beweeg en besluit om buite te gaan kyk. Toe ek buite kom, was dit nie in my erf nie, maar op ‘n ander plek, en ek sien my seun en ‘n vriend staan en gesels. Toe ek omdraai, sien ek die GESIG in die wolke (ek kan dit nie beskryf nie, ek weet net Hy was kwaad). Ek het so groot geskrik dat ek op die grond neergeval en net begin skree het. Terwyl ek daar lê, hoor ek Hy sê: “My geduld is nou op met die mensdom wat nie wil hoor nie. Gaan waarsku hulle, want hulle weet nie wat gaan kom (gebeur) nie. Tell them to be holy, because I AM HOLY”. (1Petrus 1:15-16 staan: Maar soos Hy wat julle geroep het, heilig is, moet julle ook in jul hele lewens wandel heilig word, omdat daar geskrywe is: Wees heilig, want Ek is heilig.) Terwyl ek daar lê, besef ek dat ek dit met my selfoon moet afneem, want die mense gaan my nie glo nie. Maar toe ek my selfoon uit kry, toe begin die gesig beweeg en sak af en verdwyn. 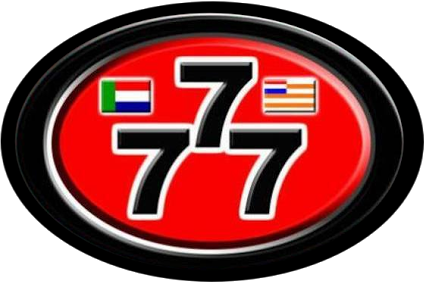 Net daarna sien ek 4 mense in ‘n motor ry en die vrou het alleen verdwyn. Toe word ek wakker. Ek was regtig in ‘n toestand en my hart wou breek vir al die verlore siele. Ek het net gehuil, en gehuil en gebid en gebid die hele dag. Die mense in die motor wat agter gebly het, het my gepla, want hulle het alreeds Jesus aangeneem, maar hulle lewe nog in die wêreld, luister nog wêreld musiek, kyk nog wêreld films, lees tydskrifte en gewone boeke wat glad nie jou gees voed of stig nie, sit ure voor die tv en maak nie tyd om saam met Vader, Jesus en Heilige Gees te spandeer nie. 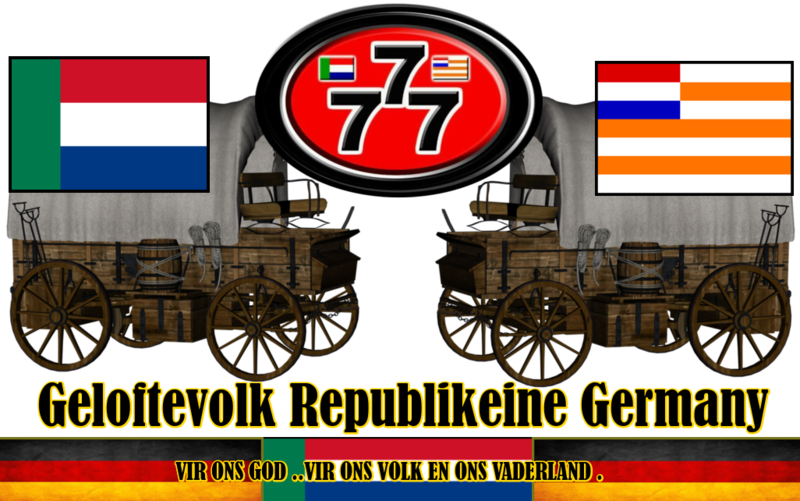 (In Jakobus 4:4 staan: Wie dan ‘n vriend van die wêreld wil wees, word ‘n vyand van God). En Vader sê Hy stuur Sy Seun vir ‘n “Holy” bruid, wat “On Fire” is vir Hom. Die wat ook Sy kinders is, maar nie heilig lewe nie, gaan agterbly. Hulle sal die verdrukkingstyd moet deurmaak, en hulle besef nie wat gaan als in daardie tyd gebeur nie! Dit gaan verskriklik wees!!! Ons moet dag en nag aanmekaar vir die verlore siele intree en ook vir die louwarm kerk!!!! Ek vra groot asseblief dat almal wat hierdie e-pos ontvang, ook saam met my sal intree vir verlore siele en die louwarm mense. In 1 Thes. 5:17 staan: Bid sonder ophou. Kom ons wees asb gehoorsaam!!! Stuur dit asb aan sodat meer mense kan bid en hulle lewe kan regmaak. 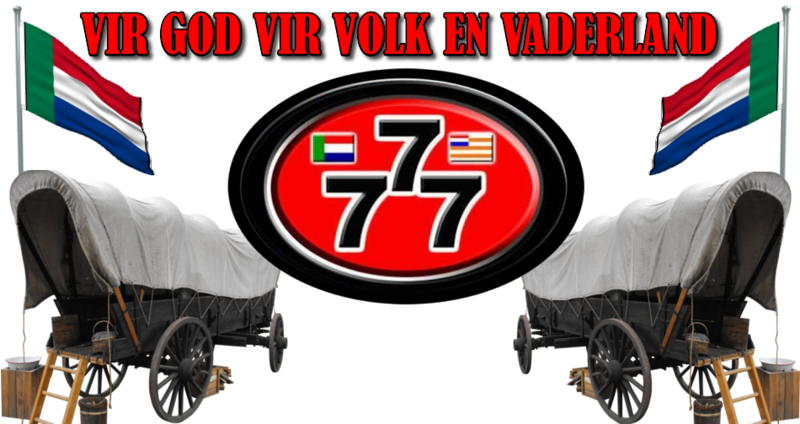 Ons weet nie hoeveel tyd ons nog het nie, maar ek weet daar was ‘n dringendheid in Vader se stem!!!! Van Rensburg and his brother were commandeered to participate in the second Anglo-Boer War under General du Toit. He was however unarmed and never fired a shot, but delivered a stream of prophesies that continued throughout the war. As the seer would later explain, a nightly visitor would have woken him only a day before the outbreak of war, with a message that his work was dedicated to God. Following the encounter he was beset with a fear that wouldn't dissipate. When his disturbed state continued to their sojourn in Kimberley, his superiors sent him home. Experiencing no relief, he returned to the Siege of Kimberley, where a vision revealed to him the defeat and loss of life that the war would bring about. Shortly afterwards, possibly at Graspan, his disturbed state lifted permanently when a soldier was wounded on his side, as a vision revealed to him shortly before. Van Rensburg then travelled with general Piet Cronjé but escaped the encirclement by British forces at Paardeberg. Subsequently he travelled with different commandos, where a number of apparently accurate predictions established his reputation. A report of his visions attracted the attention of General de la Rey, who recruited Van Rensburg for his commando. On 7 December 1900, General de Wet found himself cornered against the Caledon River which was in flood, while British forces were assailing his position. When his surrender appeared imminent, a message of De la Rey was delivered by a Boer scout. Van Rensburg had foreseen the situation and the message outlined an escape route, which was duly followed, leaving the pursuers to succumb in the torrent De Wet had just traversed. De la Rey, also hard pressed by his enemy, dispatched Van Rensburg to accompany President Steyn to Roodewal, De Wet's safe retreat in the northern Free State. Here Van Rensburg advised them to wait upon two horsemen which he described, who arrived the next day with a message from acting President Schalk Burger. On 13 September 1901, Van Rensburg found himself in the camp of Commandant Roux at Rietkuil near Vredefort. Sensing imminent danger, he advised those present, who had just retired for the day, to depart from the camp at once. Roux was slow to take heed, and his men more so, as scouts had not observed any enemy units. Van Rensburg, his wife and children escaped on a cart, shortly before the greater part of the camp was captured in a surprise attack. In January 1901 Van Rensburg had a vision indicating the flight of three Boer women, who were soon found and rescued by his host Willem Bosman. Days after rejoining De la Rey's commando he had visions of members of his own family being captured, and asked for leave to assist them. The Van Rensburg family fled from their farmhouse as English forces approached, but the wagon train carrying the elderly, women and neighbours was surprised and captured by traitors the following morning. Van Rensburg's parents, eldest daughter Hester and four younger children were subsequently interned at the Mafeking concentration camp. Van Rensburg, his wife, eldest son Willem and two daughters travelled with a group which managed to evade their pursuers, and Van Rensburg once again joined De la Rey's commando. Upon meeting his wife again in mid October 1901, they found their farmhouse destroyed. Van Rensburg's ominous premonition concerning their daughters, Anna and Maria, was confirmed when news arrived that they and two relatives had died during an outbreak of measles in the concentration camp. Van Rensburg was present when Commandant Van Aardt's company returned from the action at Yzerspruit on 25 February 1902. Van Aardt was despondent as his brother was missing in action but Van Rensburg assured him that he was neither dead nor captured, but alive though in great pain. The wounded soldier was returned to camp the same evening, carried on the horse of a burgher who found him. Before the Battle of Tweebosch, Van Rensburg gave a number of predictions indicating how the enemy would approach along the Harts River, and when he deemed them most vulnerable. He also envisaged how the victory would enhance De la Rey's reputation. Methuen's force collapsed in the face of De la Rey's sudden attack on 7 March 1902, and Methuen was captured. On 17 March 1902, President Steyn, in the company of De Wet and Hertzog, arrived at Zendelingsfontein, De la Rey's headquarters near Klerksdorp, to consult De la Rey's physician about an eye ailment. Van Rensburg was once again dispatched to guard the president. Around the 23rd he had a vision of English troops arriving, but the president was unwilling to heed his warning, until De la Rey intervened urgently on Van Rensburg's behalf. The president departed for the safety of the Molopo River on the evening of the 24th. British troops arrived at Zendelingsfontein during the early hours of the 25th and captured two of De la Rey's adjutants. Gaining entry to General Kemp's war council in the bushveld region, he soon warned them against attacking a retreating enemy, which would leave them vulnerable to encirclement. At the subsequent Battle of Harts River on 31 March 1902, some British units did fall back, though some Canadians stood their ground until overpowered by burgher forces. Kemp, though partially or grudgingly heeding the seer's visions, was generally reluctant to give him credit. When the Union of South Africa came out in support of the Allied Powers in World War I, Van Rensburg allied with the rebels. The rebellion received a fatal blow even before it started, when the influential general Koos de la Rey was accidentally killed on 15 September 1914. De la Rey, when killed, was en route to General J.G.C. Kemp, who subsequently organised the rebellion in western Transvaal. On 2 November, Kemp addressed a public meeting at Vleeskraal, near Schweizer-Reneke, with the locally influential Van Rensburg at his side. Van Rensburg also addressed the assembly, and assured them that his visions indicated they had little to fear. 610 men then joined the rebel cause, and with conscription imminent, the number of rebel volunteers grew to 1,800. General Kemp decided on a company of 720 men, mostly farmers, which included Van Rensburg and his son. They departed immediately on a journey to join Manie Maritz in German South-West Africa. After a desert trek and much hardship they linked up with Maritz's company on 29 November. Rebels under De Wet and Beyers were rounded up by South African forces in the days that followed. Returning to South Africa, Maritz and Kemp engaged government forces at Nous, Lutzputs and finally at Upington, on 3 February 1915. Van Rensburg's son Willem was mortally wounded in the Upington clash, and the whole rebel force captured, with the exception of Maritz who fled via German South-West Africa, to Angola and from thence to Portugal Van Rensburg, like his comrades, received a prison sentence. He however served about a year, first in Boksburg, then in the Old Fort, Johannesburg. After his release Nicolaas van Rensburg returned to his farm Rietkuil, near Wolmaranstad. Some of his visions were then recorded by reverend Dr. Rossouw. Van Rensburg's daughter Anna Badenhorst also recorded a set of visions up to his death at age 61. The latter set is considered to be difficult to interpret and not very coherent. With the outbreak of World War II, the collections of visions were considered inflammatory. Distribution was prohibited and some copies seized on orders of prime minister Jan Smuts. Upon Anna's death her hand written documents were transferred to Lichtenburg museum's archives, where they were rediscovered in 1991. The farm and van Rensburg family cemetery are located 11 km from Ottosdal, in the North West Province. His mother perceived his visions even as a toddler, and noticed that these seemed to disturb him. General Hertzog described him as someone continuously distracted by a maze of imagery and symbolism. In all, some 700 visions have been recorded. The nature of his visions invariably concerned the welfare of the Boere, the Netherlands and Germany, and were experienced by him as visual imagery to be interpreted afterwards. When the image of the sisal plant occurred in his visions, he for instance interpreted this as a portend of an important meeting, assembly or parliament. He is believed by some to have made many accurate predictions of local events, including foretelling the death of general Koos de la Rey and the political transition of South Africa after his own death. At times his visions also concerned international events, among which the start of World War I and the rise of Communism. He was unable to interpret some of his own visions. These, written down, are still open to interpretation, and believed by some to pertain to future events. ... a prophet, a strange character, with long flowing beard and wild fanatical eyes, who dreamed dreams and pretended to possess occult powers. I personally witnessed one of the lucky hits while we were congregated around the General's cart. Van Rensburg was expounding his latest vision to a hushed audience. It ran of a black bull and a red bull fighting, until at length the red bull sank defeated to its knees, referring to the British. Arms outstretched and eyes ablaze, he suddenly called out: See, who comes? ; and, looking up, we made out a distant horseman spurring towards us. When he came up, he produced a letter from General Botha, hundreds of miles away. General de la Rey opened it and said: "Men, believe me, the proud enemy is humbled". The letter contained news that the English had proposed a peace conference. "Coming immediately upon the prophecy, it was a dramatic moment and I was impressed, even though I suspected that van Rensburg had stage-managed the scene. Of the general's sincerity there could be no doubt as he firmly believed in the seer's predictions."